I couldn’t resist sharing this photo that we took at a client’s house last week. 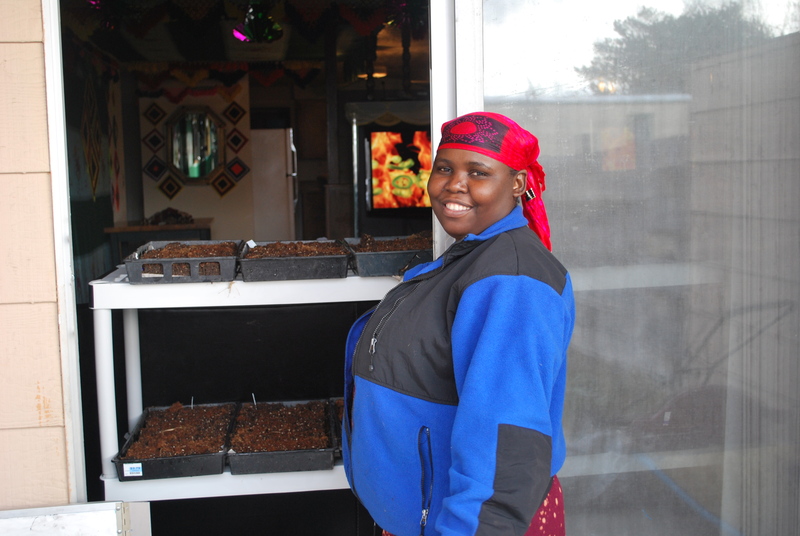 We’ve been visiting Global Gardens clients to help them set up a small greenhouse and seed germination area at home. Isha, this client from Somalia, had a perfect spot. Her sofa was pushed up against a south-facing, sliding glass door. We simply moved the sofa forward a couple of feet, set up some plastic shelves between the sofa and the door, and seeded a dozen flats for germination in her warm, sunny living room! 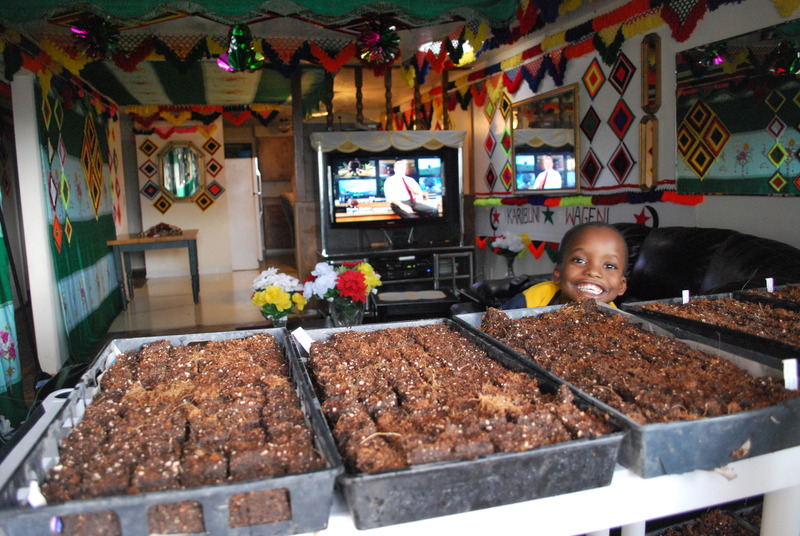 The photo is looking in from the door, with her son Hussein and their house, decorated with handmade African decorations! 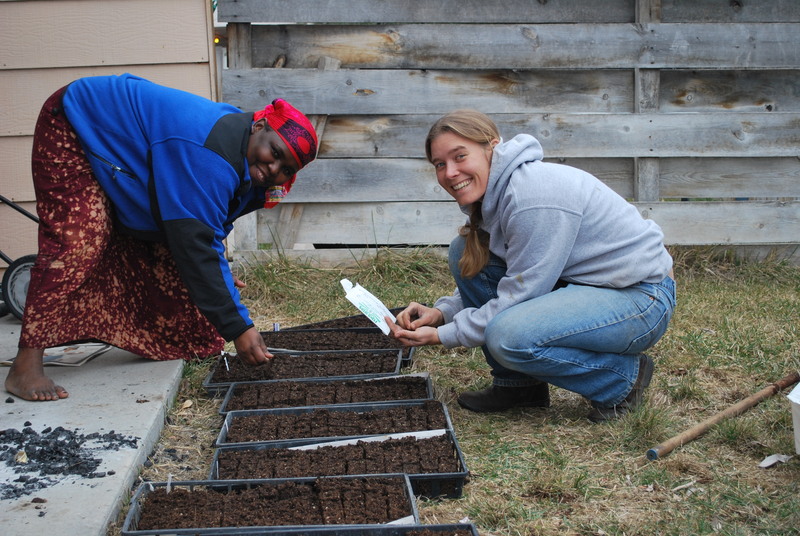 Tags: CSA, Global Gardens, starting seeds. Bookmark the permalink.